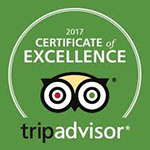 Hotel quality certificate based on a daily management system to minimise the risk of illnesses caused by a lack of food hygiene and safety. 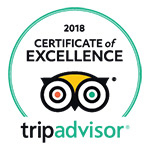 The HolidayCheck Quality Selection 2014 certificate is awarded to the hotels with the best scores on the HolidayCheck portal, the largest independent travel portal in German-speaking countries. 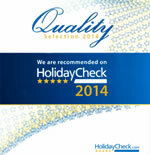 This year’s awards have been granted to the hotels that received a good overall rating on HolidayCheck in May 2014.